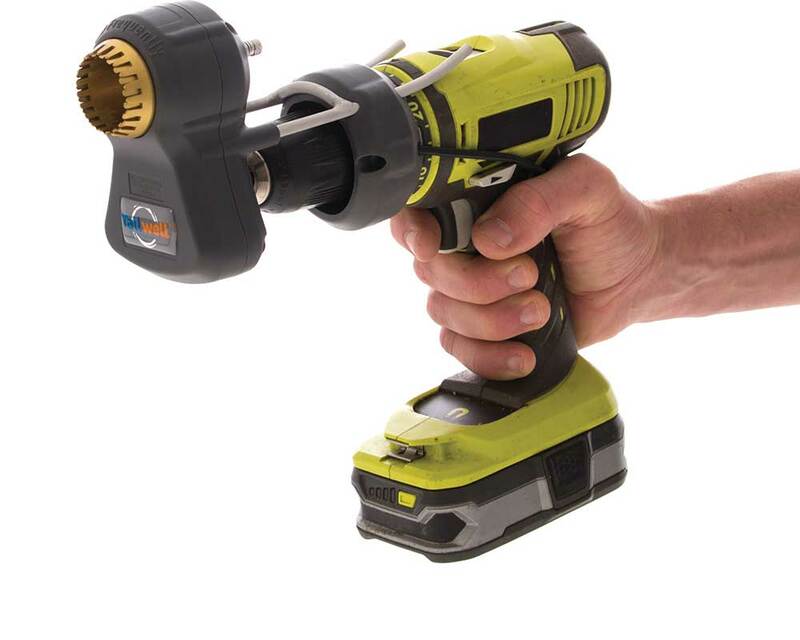 For greater cutting efficiency and speed. Tailwell TITANIUM provides a better cutter life in situations of sand contamination of tails, experienced where cows are bedded on sand. 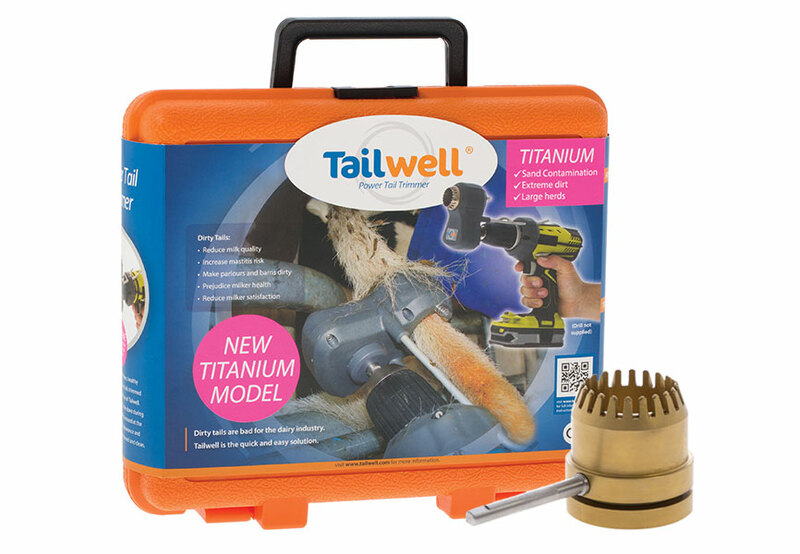 Tailwell TITANIUM features a titanium-nitrade (TiN) coating for the cutter set. This super-hard coating prevents the fast degradation that the sand causes on the cutters. Titanium-coated cutter sets are very distinctively gold coloured. The titanium cutters cannot be sharpened, and thus the usual honing paste is not included in the Titanium set. Tailwell TITANIUM is a higher-cost optional product to our standard Tailwell. Titanium-coated cutters are available as a part. These can be fitted to any regular Tailwell. It must be noted that as with our regular model Tailwell – cutter tension must be checked regularly, and lubrication used regularly. All other regular Tailwell instructions for use and service instructions apply.